My Guys Moving & Storage has been moving antiques of all kinds for over 25 years. We understand you need certainty that they’ll be given the right amount of protection and consideration while you make the move to a new home. 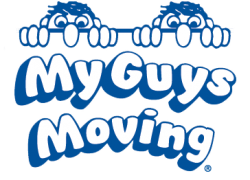 The moving staff of My Guys Moving & Storage in Virginia Beach would like to give you the certainty of knowing that your family’s most valuable of possessions are being handled with the utmost care. The process of moving antiques is one that needs to be handled carefully; not all movers are properly equipped to handle these types of moves. The professional movers of My Guys Moving & Storage take the fragility of your valuables into consideration, creating custom move plans that will protect your most delicate belongings. We also employ a variety of packing techniques in varying box sizes and special padding and packing options that can keep your antiques protected. There are a few precautions you should take before your move. We suggest, in addition to photographing your antiques to serve as an account of their conditions, that you have your items professionally appraised to learn their full value. This can be done through the services of the Directory of Certified Professional Personal Property Appraisers, which can give you the name of the professional appraiser closest to you. They can be reached by mail at P.O. Box 17625, Washington D.C., 20041 or over the phone at (800) 272-8258. With My Guys Moving & Storage, your antiques will be treated with the same amount of respect and care that you give to them. Our expert team of antique movers will care for your belongings’ conditions at all times, so you can have peace of mind knowing that they will safely reach their new home. For more information, fill out our online form today to receive a free, no-obligation quote or give us a call anytime at (804) 744-2400.